Hear what customers are saying about Terryberry’s employee recognition programs below. Want to find out how we can help boost employee recognition in your organization? Contact us to get started on your customized employee recognition program with Terryberry. We say this with all sincerity that this journey would not have been possible without your countless hours, enduring commitment and passion for making people feel valued (us included)! You have brought so much value to our recognition and reward system through not only your concept and also your unbelievable responsiveness to the needs from the system side to being here with us to address the needs of our own team members. We mean it when we say you are more than partners, you are part of our team. Thanks so much from the depths of our Hilti RED hearts! “You and your company really help solidify the true meaning and presentation of recognition unlike other companies. “It is our pleasure to provide you only positive feedback regarding Terryberry and their team of representatives. We started our investigation of various recognition programs in the summer of 2009. We selected Terryberry from a handful of companies and have never looked back. Our Account Manager from day one has been Charlotte Richmond. She exudes professionalism and her attention to our requests has always been immediate – but so has the entire team! When we make a call, an enquiry, a request, we can be assured within a matter of minutes someone is addressing our needs. Terryberry, the company, reaches out on a regular basis with invitations to Webcasts to ensure employers are making the best use of their recognition programs. -Carl, Texas Star Bank, S.S.B. Just a short note to let you know how much our people appreciate the rings that you folks have worked so hard to design for us. Your service to customers is great. I recently offered one of my top producers a choice between an all expense paid trip for two to New York City plus two tickets to a Broadway play of his choice or an ECA ring designed by Terryberry. Without hesitation, Paul looked at me and said, “Order my ring.” Not bad considering the ring is about half the price of the trip I offered him. Your rings make our people feel important. We’re glad to do business with you. We have worked with Terryberry since 1994. Since then, we have purchased many different items. Quality has always been excellent, but the service has been even better! The wide variety of items at value prices has allowed our employees to select perfect items that are unique to them. This personal touch is perceived as a real plus. During our time of using the recognition program developed by your sales personnel, many employees have received multiple awards, and have chosen from so many different items. The fact that there are personal pieces, such as jewelry for men and women, and office items as well as unique gifts for the home makes it easy to select. Terryberry has always provided our employees with easy-to-use brochures to make the selection process clear and smooth. We will recommend Terryberry to any company looking for an effective way to recognize employees. The quality and good looks of the Terryberry items always demonstrate true appreciation. Just a short note to let you know how thrilled everyone is with their awards. The lapel pins came out beautifully. The banquet was a huge success! All of the employees who attended had a good time and were still talking about it at work the next day. I appreciate your assistance and input into helping make our first service awards banquet a special moment. We were extremely pleased with the quality of our custom recognition pins as well as impressed by the excellent customer service. We had a tight turn-around time and Terryberry delivered as promised. I just wanted to let you know that the pins were a huge success. Everyone was completely blown away. I can’t really describe how wonderfully they were accepted. The people who didn’t receive a pin were all figuring how many days and years before they would have one and this is the reaction we wanted. It is truly hard to believe that something so simple can make such a huge difference in how employees can motivate themselves. Really a great success thanks to your patience, flexibility and follow through. The products are of the highest quality and once the employee has placed their order, the delivery time is very fast. It is so simple now using AwardChoice. It has cut my workload tremendously and the employees received their awards much faster. Your prompt and courteous service was so refreshing. Although we are probably a very small account compared to other clients, I would never know it from the service you provided. Thank everyone there from us – from design to execution, you provided us with what we wanted at a very reasonable cost. We set up the AwardChoice program and it is perfect for our team. We have many located internationally and now we can serve everyone easily. Our employees love ordering their gifts online, which also saves our Human Resource department time. 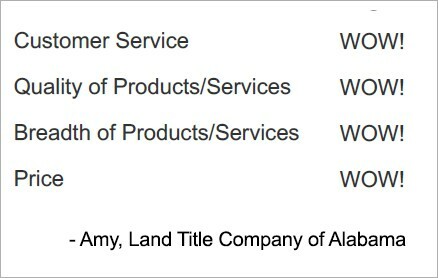 Terryberry goes above and beyond most other recognition companies in their flexibility, communication, and details. Our orders have always been correct and on time. We wanted to provide a selection of gifts to appeal to the broad range of people we employ and customize the gifts to include our company logo, without committing to more gifts than we needed. Terryberry has given us all that and more. We have never expressed our thanks to our many long term employees in such a lasting and impressive manner as done with the service pins you produced for us.